Take dealership statements that cannot be substantiated with a grain of salt. “It’s the last one left in the state.” “We had better act quickly.. Another customer seems to be very interested in this very car.” Declarations such as these are intended to project a sense of urgency on the buyer and used as leverage to close the deal quickly, often for a higher price point due to the perception of ‘supply and demand.’ Don’t allow your emotions to be caught up in the idea of ‘racing’ an imaginary clock. Keep reading, or click below to reveal sponsored listings for new cars. Trade-in value is so important if you are even considering trading your current vehicle in for a new car, watch out for this commonly overlooked sales tactic often employed by dealerships. Many salesmen will offer to give you a higher than trade-in value for your trade-in under the guise that they “Already have another interested buyer for your trade-in.” More times than not, this is a fabricated story intended to lead a customer into believing a need to ‘act now’ or risk losing out on the deal of a lifetime. In most cases, the dealer will write off the higher payout for the trade-in vehicle through raising the price on your new vehicle. In nearly every case, the dealer is much more interested in selling you a new car than receiving your current car as a trade. The best way to avoid this deception is through negotiating each portion of the car buying process separately. Do not mention or inquire about your possible trade-in until an agreed upon price is on the table for the new vehicle. You might even find that you can save yourself thousands by selling your current car to another private party. Many new car buyers find themselves sucked into a deal based solely upon their monthly payment. 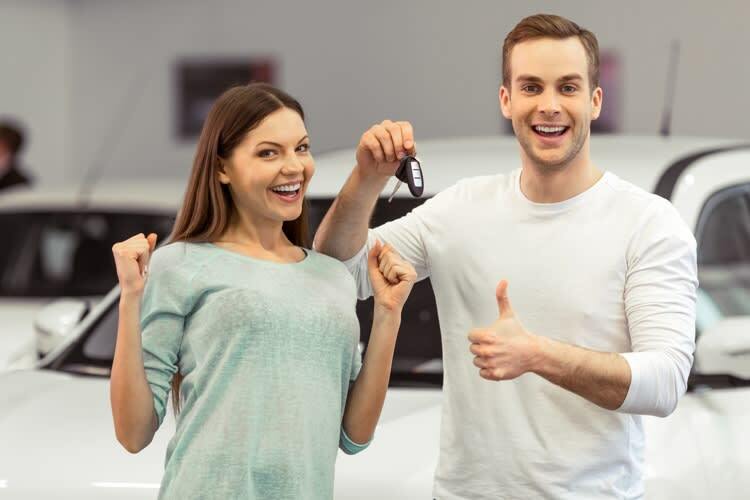 A tried and true method for selling new cars to unsuspecting customers is to offer a lower monthly payment on a brand new and often better equipped car. Sounds like a win win situation for the customer! Right?.... WRONG! Often times, a dealer is able to lower a customer’s monthly payments by spreading them out over a much longer portion of time. The customer can also likely end up paying a higher amount of interest over the lifetime of the loan. This practice can often result in the customer finding themselves upside down in a car loan and owing much more than the car is worth. It can be compounded if the customer later decides to trade in again and roll the balance over on top of a new loan. Buyer beware! Always negotiate based upon the total cost of the vehicle, not your monthly payment. In many cases, it is also best to shop around for a pre-approved car loan prior to determining your budget. You never want to fall in love with a shiny new car only to find out later that you cannot afford it. Nearly every new car shopper has carefully prodded over a window sticker in a dealer lot. To many, window stickers are a helpful and insightful way of making sense of the often confusing task of comparing and contrasting new cars. Items such as MPG/fuel cost estimates, standard features, safety features, drivetrain details, factory options, dealer added options/costs, and Manufacturer’s Suggested Retail Price/MSRP are all conveniently listed on a neatly organized sheet inside the vehicle’s window. A well trained and prepared car buyer, however, can easily separate the informative from the misleading. For starters, the MSRP or Manufacturer’s Suggested Retail Price is exactly what it says it is.. Suggested. A new car buyer should always be prepared to negotiate a lower price. Dealer cost is significantly less than the price listed on the window and buyers should not feel guilty or uneasy about negotiating. Dealers options or costs are also often added to the cost of the vehicle and may add little to no value or are insanely overpriced (i.e $400 floor mats). We’ve all seen the classic ‘Good Cop, Bad Cop’ routine on TV sitcoms and in movies, but I bet you wouldn’t expect to see a similar tactic on the showroom floor of your local dealership. This dealership scheme pits your loyal salesman against a hard nosed manager and is aimed at establishing a likeable relationship with your salesman as they ‘go to bat’ for you to ‘get you the best possible price’. More often than not, you’ve just witnessed a well staged and routinely performed production. The goal for this rehearsed act is often an impression on the customer that their salesman has really worked extra hard and earned the sale. Thus, the buyer is now more likely to pay a little more than they might have intended to reward their deserving salesman and new friend. The best way to avoid this scam is to be extremely calculated and resist any temptation to allow your emotions to influence or change your previously determined budget. Nearly all new vehicles arrive from the factory with a bumper to bumper and/or drivetrain warranty. Factory warranties serve as a safety net to new car buyers and are considered to be a very desirable and cost free component of the purchase price. The factory warranty is intended to protect the customer against unexpected repair costs and/or faulty craftsmanship/parts. Typically, the warranty expires after a set amount of miles or months/years is reached. Many unscrupulous dealerships will, however, attempt to sell ‘extended warranties’ to take over after the standard warranty has expired. It is extremely important to do your research regarding these extended warranties. Although many dealers will imply that the warranty provides the same coverage as your factory warranty, in many cases, it is actually a 3rd party company unrelated to the manufacturer and the contract can contain fine print to absolve the party from paying out for many reasonable claims. If you intend to keep your new vehicle after the factory warranty has expired and do decide to purchase an extended warranty, make sure that the warranty is backed by the manufacturer (not just the dealer or a 3rd party). Manufacturer backed extended warranties can be used at any dealership across the country while many 3rd party and dealership warranties can only be used at a specific location. A buyer should be prepared to shop around to determine if a better price or coverage can be obtained from a reputable 3rd party warranty provider as well. Lastly, don’t just the salesperson’s word for it by signing on the dotted line. Carefully read the fine print and understand exactly what will or will not be covered. Salespeople and sales managers are often very pushy regarding the need for an extended warranty as they are paid extra commission for selling the coverage. Do yourself and your wallet a favor by completing your research prior to stepping foot on the dealership floor.